Who Are North Korea’s Power Brokers? North Korea has been ruled by one of the world’s longest-running dynastic dictatorships. 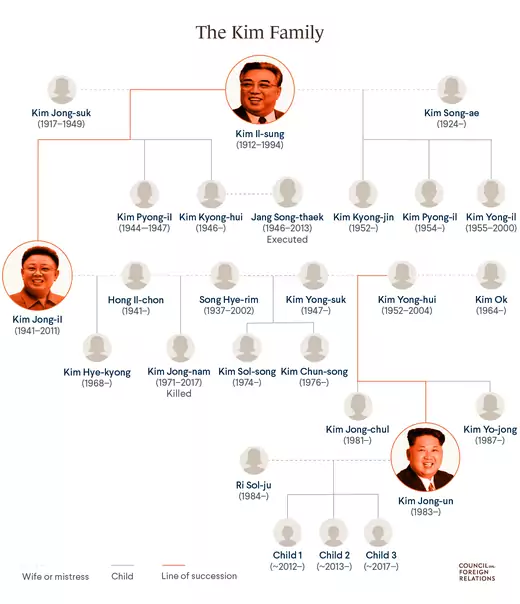 Three generations of the Kim family have ruled with absolute authority, using heavy repression and a system of patronage that ensures support from elites and the military. The latest supreme leader, Kim Jong-un, appears to have deftly handled his early years at the top through reshuffling party and military structures and accelerating a buildup of nuclear and missile capabilities. As North Korea seeks to grow its economy and open up to the outside world, experts say Kim’s relationship with elites could be tested and will be crucial to the regime’s survival. Three generations of Kims have held the position of supreme leader in North Korea since the end of World War II and Korea’s liberation from Japanese colonial rule. Kim Il-sung was the founding father of North Korea, where he ruled from 1948 until his death in 1994. He was succeeded by his son, Kim Jong-il, who served for seventeen years until a fatal heart attack in late 2011. 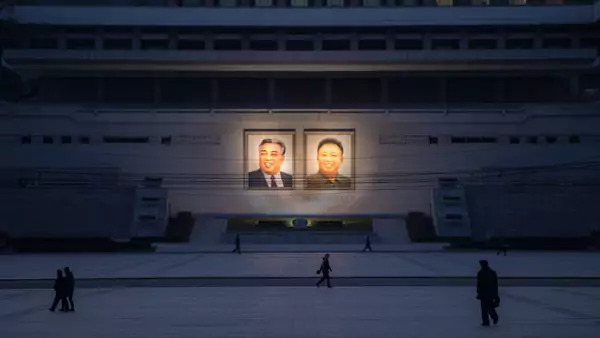 Leadership then passed to Kim Jong-il’s twenty-eight-year-old son, Kim Jong-un, in 2012, and while there was speculation over his ability to maintain regime stability, he has swiftly consolidated his power. He has installed his own top personnel, reinvigorated the Worker’s Party of Korea (WPK) as the core political organ, and reclaimed power from elite factions that had been delegated authority in Kim Jong-il’s later years. Periodic purges of leadership are not out of the norm for North Korean leaders. Some have been brutal, such as the executions of Kim Jong-un’s uncle Jang Song-thaek and Minister of Defense Hyon Yong-chol. Scores of other top officials have been retired, demoted, or otherwise shuffled out of positions of authority under Kim. In an opaque information climate, disappearances from public view should not always be considered punitive or fatal; some officials transition from public positions to cushy behind-the-scenes roles or resurface months or years later. Nevertheless, “investigations and purges create upheaval in the system,” says Michael Madden, the founder of North Korea Leadership Watch, a blog focused on leadership and political culture in North Korea. Creating this sense of instability and unpredictability for elites is one of the levers that allows Kim Jong-un to maintain his hold on power. Kim Jong-un is believed to have at least two children with his wife, Ri Sol-ju. While their names are not publicly known, the oldest child is reported to be a daughter. He is alleged to suffer from a range of medical problems, some stemming from obesity and smoking, including high blood pressure, diabetes, and gout. Both his father and grandfather died of suspected heart attacks. Experts say that in the event of his death or serious illness, the next leader would undoubtedly be a direct Kim family member. The promotion of his younger sister, Kim Yo-jong, and the development of her public profile have raised speculation that she could be in line to be the successor. Other close relatives who could also be involved in a power transition are Kim Sol-song, an older half sister, or Kim’s older brother, Kim Jong-chul. Some family members, however, have fallen out of favor, including Kim’s uncle Jang, who was married to Kim Kyong-hui, the daughter of Kim Il-sung. Kim Jong-nam, Kim’s half brother, was assassinated in February 2017 in Malaysia in an attack suspected to have been carried out by North Korea. Chief policymaking comes from the WPK’s Central Committee and three subordinate institutions: the Political Bureau, or Politburo; the Control Commission; and the Executive Policy Bureau, which also controls surveillance and appoints top personnel across the party, cabinet, and military. The Central Committee’s Organization Guidance Department (OGD) and Propaganda and Agitation Department are among the most influential party agencies. The Central Committee is made up of around twenty departments, ranging from the sciences to agriculture, that link to civilian state and military bodies. The governmental departments submit policy ideas to the respective entities of the party’s Central Committee, who then deliberate, tweak, and approve initiatives. The party exercises policy control through this process. Decisions on matters such as North Korea’s recent summits with South Korea and the United States have likely followed consultation between Kim and close aides, all of whom hold high positions within the party. Investigations and purges create upheaval in the system. Another ideological tenet, songun, or military first, was embedded as a guiding political philosophy in the 1990s, elevating the military above other elements in society. The military is made up of an estimated 1.2 million active personnel, including two hundred thousand special operations forces, as well as millions more in reserves and paramilitary personnel. From the outset, the military operated under the direction of the WPK. The military itself has a general political bureau staffed by political commissars who receive instructions from the party’s OGD, which are then distributed among the branches of the Korean People’s Army (KPA); state security and the national police also have their own political directors. Under Kim Jong-il, the military, or at least individual members of the military, amassed increasing decision-making power, gaining the upper hand over the party. Analysts have described Kim Jong-il’s reign as more informal, relying on personal relationships and bypassing the formal bureaucracy. The military and the party are fused very closely. The transition to Kim Jong-un’s rule has rebalanced the military-party dynamic again, with the authoritarian leader favoring the regularization and formal institutionalization of the party’s levers of power to bring influential factions to heel, particularly within the military. 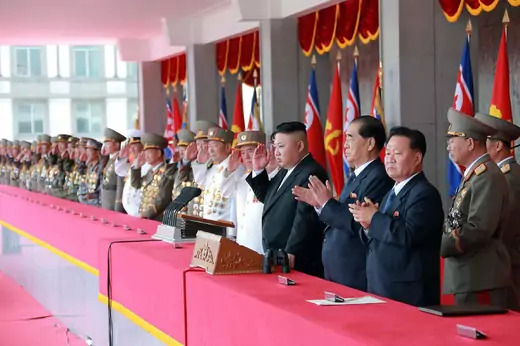 For example, in June 2018, Kim replaced three top military generals: the chief of the military’s general staff, Ri Myong-su; the director of the military’s political bureau, Kim Jong-gak; and the defense chief, Pak Yong-sik. Analysts say the move reflects Kim Jong-un’s push to put in place leaders who are directly loyal to him while removing regents and confidants of his father, such as Ri, tighten the party’s hold on the military, and root out corruption. In a country where rhetoric is significant, Madden says there has been a recent shift in references to North Korea’s sources of power: where it used to be “party, army, state,” it has become “party, state, army,” reflecting a reimagining of priorities. The military’s primary responsibility remains safeguarding the security of the nation; yet, the KPA owns a few dozen trading companies and economic sites and is therefore involved in a good portion of the country’s economic activity. Kim, like his father before him, wants to use military personnel to carry out civilian construction and critical infrastructure projects. At the same time, experts say that Kim is also redistributing valuable economic real estate, such as transferring control of facilities in some sectors, such as fisheries and manufacturing, from the military to civilian and government departments and reducing the proportion of revenue or goods that the military siphons off itself. North Korea is among the world’s poorest nations, with widespread malnutrition. Its economic activity centers on [PDF] mining and manufacturing, as well as agriculture, forestry, and fishing. While heavy international sanctions have intensified North Korea’s isolation, the economy still appeared to be registering modest growth through 2016, according to South Korea’s central bank. Kim has instituted slight changes and relaxed rules, including the liberalization of domestic markets, which have spawned growth, says a report by Daily NK, a South Korea–based online newspaper. In his first years in power, Kim Jong-un developed the byungjin policy, or “parallel development” of the country’s nuclear capabilities and its economy. To do so, Kim has rolled out policy modifications, shifting away from a centrally planned economy to one that is more incentive-based and allows for greater autonomy at the county and provincial levels. Industries such as shellfish and generic pharmaceuticals remain under tight control, but there are some sectors where opening up is taking place, such as agriculture. Still, North Korea’s coterie of elites, which experts estimate totals about fifty families and up to two thousand people, exerts heavy influence over the state’s economic functioning. They are said to hold important roles in which they facilitate or execute policy, as well as control hard currency operations, resources, or information. “Instability or unpredictability for elites is one of the levers that allows Kim Jong-un to maintain his hold on power. Even before Kim Jong-un came to power, there was increasing room for these moneyed elites. This group, known as the donju—money masters or lords—started making fortunes by facilitating trade in black markets that emerged at a time when the government was unable to provide sufficient food and services, in the late 1990s. Restrictions on these markets have eased over time, and in some circumstances market activity is even sanctioned without reprisal. For example, agricultural collectives are allowed to privately sell their surplus crops. Still, personal connections run deep across the economy: many children or other family members of high-powered party, military, and civilian officials run foreign trading companies that fuel the country’s economic development. In recent years, there are anecdotal accounts from journalists, researchers, and visitors of the construction or opening of ski resorts, theme parks, and a new airport—signs of an economic uptick and interest in infrastructure for potential tourism. All this, despite stringent international economic sanctions that have crippled formal trade and normal economic ties with dynamic regional actors such as China, Russia, and South Korea. If sanctions relief materializes and North Korea seeks to diversify its business relations with the outside world, experts say that all moves to grow the economy will have to be delicately calibrated by the leadership to ensure political stability inside the regime. Experts say Kim Jong-un has deftly navigated his rise to power. While drawing on nostalgia for his grandfather’s era and grandiose persona, “Kim Jong-un is also determined to be seen as a ‘modern leader’ of a ‘modern North Korea,’” writes the Brookings Institution’s Jung H. Pak. Economic development is fashioned as the vehicle for this modernization. In Kim’s 2018 New Year’s speech, he emphasized using the acquisition of nuclear weapons as a springboard for progress and prosperity, stating that “the central task facing socialist economic construction this year is to enhance the independence and Juche character of the national economy and improve the people’s standard of living.” CNA’s Gause says “the economy is Kim Jong-un’s strategy,” adding that all of his recent efforts at diplomacy are “designed to hook into the South Korean economic engine” and solidify his legacy. Experts say North Korea is entering a critical period of change under a regime that has by and large resisted rapid change and outside influence. Even as the ultimate authority, they say, Kim will need to cultivate the support of enough elites and successfully manage the pace of change to meet his goal of making North Korea a strong and prosperous nation. Jung H. Pak delves into the educational foundation of North Korea’s Kim Jong-un in a February 2018 Brookings essay. NPR’s Planet Money explores North Korea’s capitalists in an October 2017 episode. Michael Madden’s blog, North Korea Leadership Watch, tracks changes in the party’s and military’s upper echelons. The Washington Post’s Anna Fifield unveils how North Korea’s one percent live. A June 2018 Quartz article looks at North Korea’s surprising economic indicators.